What is the Miracle of Music? With the support of the MUSIC & MEMORY℠ program, we have developed the Miracle of Music campaign. The Miracle of Music works to raise funds and put iPods, headphones, and music into the hands of our senior residents who are suffering from Alzheimer’s and other forms of dementia. To learn more about the MUSIC & MEMORY℠ program, read our recent blog post. We have created a fundraising site, www.miracleofmusic.us, in an effort to spread the word about the power of music. 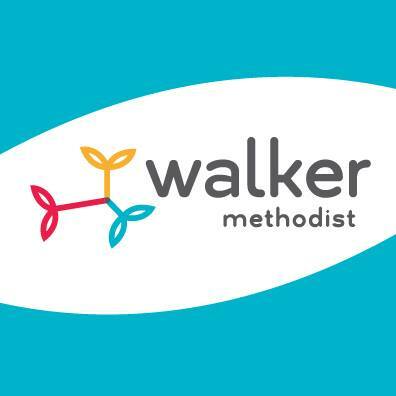 All donations raised on this site will provide an iPod shuffle, headphones, and music to those residents at Walker Methodist who need it most. Additional donations beyond our goal will go to MUSIC & MEMORY℠ to be distributed nationwide. At Walker Methodist, we have had the privilege of implementing music into the care of some of our Alzheimer’s and dementia residents, and witness them come to life. Some residents who seem dazed and uninvolved become assertive, talkative, lively, and much happier than before listening to some of their favorite tunes. To watch the video of Jim react to his music, click here. Since implementing the MUSIC & MEMORY℠ program, we have seen his personality come to life and we wanted to share this. 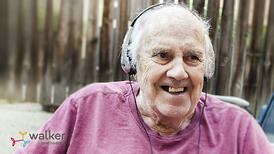 Before we put the headphones on him, Jim was quiet, depressed, and down, but the music got him up and going! You can help improve the lives of those affected by this disease by giving hope and peace through music. It's not just those with the disease you will be helping. It's the families. It's the workers. It's their friends. It's your family. It's for everyone who has loved someone who has forgotten who they are. You can be a hero, just by giving someone music. Please donate today!